No matter how small a leak appears to be, hiring someone who is not fit for the job may lead to an even more intense situation. Plumbing Systems Solutions Inc. has built a team of effective experts that not only have the necessary qualifications but are experienced at all phases of plumbing. Whether it’s a broken pipe, leaking sewer or a blockage somewhere, Plumbing Systems Solutions Inc. will deploy the most experienced professionals to come look at your system. These experts will carefully inspect your sewer or drain and accurately tell where the problem is because they know where to look. For close to fifteen years, Plumbing Systems Solutions Inc. has been dedicated to delivering stellar plumbing services across Washington. Our credibility grows with every client we serve and we are not stopping there. Technology is moving at a fast pace and so are we! We have now launched into using video camera technology to find the leaks that haunt you. Our specialists have worked with these tools over time and now assure clients that we are capable of installing a video camera into your sewer or drain pipe to monitor the health of the system. 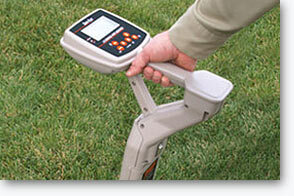 This has proven to be very cost effective and accurate in results. There’s no need to have someone dig up your basement. Contact us today and let’s fix this with the most precise equipment. Kitchen sink filled with crud? Toilet choked or blocked? Bathroom tub clogged? Our technicians are experienced at all different levels of drain cleaning and this ensures that our clients get the best service and have a fast flowing, trouble free drain and sewer line. These blockages are inevitable as soap, hair, toothpaste and other substances tend to fall in at the least expected time. 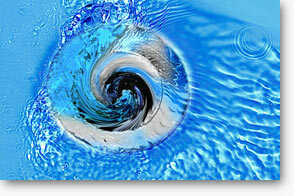 At Plumbing Systems Solutions Inc., we solve every kind of drain and sewer problems. All we say is that you call on us and we will fix it for you! Sludge buildup in your sewer pipe? Put us to test and we’ll surprise you! As part of our commercial services, Plumbing Systems Solutions Inc. offers high pressure water jetting to get rid of troublesome debris in drain systems. No matter how hard, we know how to break them. 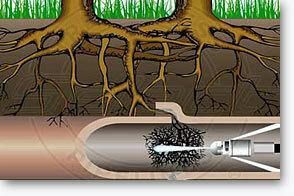 We can deal with heavy roots, hardened scale, grease globs, etc. all with our special state-of-the-art machine that we will bring to your site. Also, we can help schools, hospitals, hotels and other business entities with a maintenance schedule that will monitor revenant blockages and place a water jetting schedule with us. 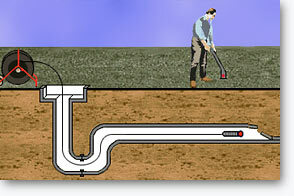 Plumbing Systems Solutions Inc. will make sure your drainage is thoroughly cleaned and you don’t have to spend much. Hire us today and see how we perform exceptionally.